Stephen J. McBrady: Government Contracts/Claims Lawyer: Washington, D.C.
Crowell & Moring's Litigation Forecast 2018. Steve McBrady is a partner in the Washington, D.C. office of Crowell & Moring and a member of the Steering Committee for the firm's 60-lawyer Government Contracts Group. Steve leads the firm's government contractor claims litigation and recovery practice, and has extensive first-chair experience litigating cases before the U.S. Court of Federal Claims, the Armed Services Board of Contract Appeals (ASBCA), and state and federal courts around the country. In the past year, Steve’s litigation teams have won significant victories, including a $250 million contract dispute with the U.S. government, and three high-profile judgments against the U.S. government in litigation arising under the Affordable Care Act. Steve is also frequently called upon to resolve sensitive matters via alternative dispute resolution (ADR), including confidential arbitration and mediation. In addition to his litigation practice, Steve serves as a strategic advisor to in-house counsel and corporate executives on high-stakes and "bet the company" matters. To that end, clients in the defense, health care, energy, manufacturing, and technology sectors regularly seek his advice on a wide range of issues, including complex litigation and internal investigations, due diligence in support of M&A transactions, ethics and compliance counseling, and government audits. Steve regularly speaks at government and industry events around the country, and provides on-site training to legal and executive teams on a range of topics. His legal commentary on government-facing issues has been featured in the New York Times and various other print, radio, and television media. Steve previously served as vice chair of the firm's Recruiting Committee, and is an active sponsor of young and diverse attorneys throughout the law firm. His focus on client service has earned numerous awards over the years, including selection to the National Law Journal's "40 Under 40" list, and the Capital Pro Bono Honor Roll. In 2018, Steve was selected as "Government Contracts MVP" by Law360. "Changes, Claims and Terminations," Government Contracts "101" - Back to Basics, Washington, D.C. (October 10, 2018). Presenters: Steve McBrady, Brian Tully McLaughlin, Monica Sterling, and Michelle Coleman. "Claims and Affirmative Recovery: Keeping the Customer Happy While Watching the Bottom Line," OOPS 2018, Crowell & Moring's 34th Annual Ounce of Prevention Seminar, Washington, D.C. (May 17, 2018). Presenters: Stephen J. McBrady, Skye Mathieson, Monica DiFonzo Sterling, Sharmistha Das, and Michelle D. Coleman. "REAs and CDA Claims: Keeping the Customer Happy While Watching the Bottom Line," Client Training (November 15, 2017). Speakers: Stephen J. McBrady, J. Chris Haile, and Skye Mathieson. "REAs and Claims: Protecting the Company’s Bottom Line," Client Training, Herndon, VA (September 22, 2017). Panelists: Stephen J. McBrady, Brian Tully McLaughlin and Skye Mathieson. "Claims and Requests for Equitable Adjustment," Client Training, Washington, D.C. (August 28, 2017). Panelists: Stephen J. McBrady, Brian Tully McLaughlin and Skye Mathieson. "Government Contracts Mergers & Acquisitions in 2017: Challenges and Opportunities on the Horizon," Washington, D.C. (June 27, 2017). Contacts: Stephen J. McBrady, Peter Eyre, and Adelicia R. Cliffe. "Identifying and Pursuing Affirmative Recovery Opportunities and Navigating the Trump Era," OOPS 2017, Crowell & Moring's 33rd Annual Ounce of Prevention Seminar, Washington, D.C. (May 4, 2017). Presenters: Daniel R. Forman, David J. Ginsberg, Stephen J. McBrady, Brian Tully McLaughlin, Skye Mathieson, and Sharmistha Das. "Building a Border Wall: Opportunities, Contractual Risks, and Business Considerations," Crowell & Moring Webinar (April 25, 2017). Presenters: Angela B. Styles, Stephen J. McBrady, David J. Ginsberg. Trina Fairley Barlow, and Elizabeth Buehler. "Independent Research & Development Costs: Updates, Risks, and Compliance — C&M's First 100 Days Series," Crowell & Moring Webinar (April 19, 2017). Presenters: Stephen J. McBrady and Skye Mathieson. "The Trump Administration's Acquisition Policy Agenda," The Coalition for Government Procurement Webinar (March 15, 2017). Presenters: Robert A. Burton, Stephen J. McBrady, and Kate M. Growley. "Recovery in Government Contracts," Crowell & Moring’s Third Annual In-House Recovery Conference, Dana Point, CA (March 9-10, 2017). Speakers: Stephen J. McBrady and Brian Tully McLaughlin. "What Will the New Year Bring: Issues and Developments for Government Contractors," Federal Publications Webinar, Washington, D.C. (February 2, 2017). Presenters: David B. Robbins, Robert A. Burton, Lorraine M. Campos, Stephen J. McBrady, Adelicia R. Cliffe, Skye Mathieson, and Olivia Lynch. "Independent Research & Development Costs: Updates, Risks, and Compliance," Client Webinar, Washington, D.C. (January 12, 2017). Panelists: Stephen J. McBrady and Skye Mathieson. "Risk Corridors Payment Recovery Opportunity," Crowell & Moring Webinar (November 30, 2016). Speakers: A. Xavier Baker, Christopher Flynn, and Stephen J. McBrady. "The Incoming Administration's Acquisition Policy Focus: Analysis & Commentary," 2016 Fall Training Conference, The Coalition for Government Procurement, Washington, D.C. (November 17, 2016). Presenters: Robert A. Burton, Stephen J. McBrady, and Kate M. Growley. "'Fair Pay and Safe Workplaces' Final Rule and Guidance: What You Need to Know," Webinar (September 7, 2016). Speakers: Stephen J. McBrady, David B. Robbins, Kris D. Meade, Rebecca L. Springer, Jason M. Crawford, and Laura J. Mitchell Baker. "Cost and Accounting – Items at the Top of the Ledger," OOPS 2016, Crowell & Moring's 32nd Annual Ounce of Prevention Seminar, Washington, D.C. (May 25-26, 2016). Moderator: Terry L. Albertson; Panelists: Robert A. Burton, Stephen J. McBrady, and Skye Mathieson. "Government Procurement Recovery," Crowell & Moring's Second Annual In-House Recovery Conference, Dana Point, CA (March 10-11, 2016). Moderator: Daniel Forman. Speakers: Stephen McBrady, Brian Tully McLaughlin, and Brad Biegon. "Defective Pricing: Basics Every Government Contractor Needs to Know," Client Webinar, Washington, D.C. (February 3, 2016). Panelists: Terry L. Albertson, Stephen J. McBrady, and Skye Mathieson. "Expert Voices of Government Contracting: The Claims Recovery Process," Federal News Radio, Washington, D.C. (November 16, 2015). Experts: J. Chris Haile, Stephen J. McBrady, Brian Tully McLaughlin, and Skye Mathieson. "Defective Pricing 101," Client Training, Virginia (September 28, 2015). Panelists: Terry L. Albertson, Stephen J. McBrady, and Skye Mathieson. "Defective Pricing: Basics Every Government Contractor Needs to Know," Client Webinar, Washington, D.C. (August 12, 2015). Panelists: Stephen J. McBrady, Skye Mathieson, and Jason M. Crawford. "Fair Pay and Safe Workplaces Proposed Rule and Guidance: What You Need to Know," Crowell & Moring Webinar (June 10, 2015). Presenters: Angela B. Styles, Stephen J. McBrady, Kris D. Meade, Rebecca L. Springer, and Jason M. Crawford. 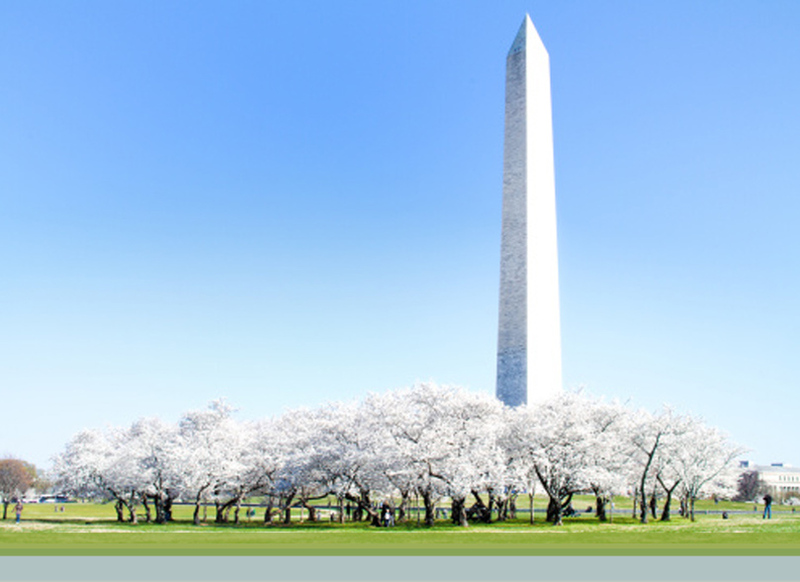 "Costs," OOPS 2015, Crowell & Moring's 31st Annual Ounce of Prevention Seminar, Washington, D.C. (May 5-6, 2015). Moderator: Terry L. Albertson; Panelists: Stephen J. McBrady and Skye Mathieson. "The World of Sponsored Claims – Being Caught in the Middle," Association of Corporate Counsel of the National Capital Region, Washington, D.C. (April 8, 2015). Speakers: Stephen J. McBrady and Skye Mathieson. "Government Contractors and Litigation Forums: The World of Sponsored Claims- Being Caught in the Middle," ACC National Capital Region, McLean, VA (April 8, 2015). Presenters: Stephen J. McBrady, Skye Mathieson, and Jason M. Crawford. "What Will the New Year Bring: Claims, Disputes, and Contractor Recovery," Crowell & Moring Webinar (January 7, 2015). Presenters: J. Chris Haile and Stephen J. McBrady. "Dissecting the Fair Pay and Safe Workplaces Executive Order: Its Requirements, Ambiguities, Status, and Legal Vulnerabilities," National Association of Manufacturers Webinar (December 17, 2014). Speakers: Angela B. Styles, Kris D. Meade, and Stephen J. McBrady. "Fair Pay and Safe Workplaces Executive Order Update," American Foundry Society Government Affairs Committee, Washington, D.C. (December 10, 2014). Speakers: Angela B. Styles, Stephen J. McBrady, and Rebecca L. Springer. "Renewable Energy in the Federal Marketplace," Cornell University - Johnson Graduate School of Management (September 26, 2014). Speaker: Stephen J. McBrady. "Federal Contracting Policy By Executive Order: What Does It Mean for Contractors?" Crowell & Moring Webinar (September 11, 2014). Presenters: Angela B. Styles, Kris D. Meade, Stephen J. McBrady, and Jason C. Lynch. "Fair Pay and Safe Workplaces Executive Order,” Professional Services Council, Program on Labor Policy and Executive Orders (September 3, 2014). Speaker: Stephen J. McBrady. "Hot Topics in Cost Law," OOPS 2014, Crowell & Moring's 30th Annual Ounce of Prevention Seminar, Washington, D.C. (May 13-14, 2014). Moderator: Terry L. Albertson; Presenters: J. Catherine Kunz and Stephen J. McBrady. "What Will the New Year Bring: Claims, Disputes, and Contractor Recovery," Crowell & Moring Webinar (January 9, 2014). Presenters: J. Chris Haile and Stephen J. McBrady. "Federal Government Contracting and Renewable Energy," Cornell University - Johnson Graduate School of Management (September 27, 2013). Speaker: Stephen J. McBrady. "Sequestration and the Government's Decision to Terminate for Convenience or Default," 52nd Annual National Seminar on Government Contracts (September 18-19, 2013). Speaker: Stephen J. McBrady. "Costs," OOPS 2013, Crowell & Moring's 29th Annual Ounce of Prevention Seminar, Washington, D.C. (May 15-16, 2013). Moderator: Terry Albertson; Presenters: J. Catherine Kunz and Stephen J. McBrady. "Contract Disputes Act Litigation: Recent Developments," Client Litigation Working Group (January 24, 2013). Speakers: Angela B. Styles, Terry L. Albertson, and Stephen J. McBrady. "Sequestration: Preparing for Unprecedented Cuts to Federal Spending," L-2 Federal Resources Webinar (July 2012). Co-Presenters: Angela B. Styles, Kris D. Meade, Mike Gill, Stephen J. McBrady, and Stephan Rice. "Accounting and Pricing Developments," Crowell & Moring's 2012 Ounce of Prevention Seminar (OOPS), Washington, D.C. (May 9-10, 2012). Co-Speakers: Terry Albertson, J. Catherine Kunz, and Stephen J. McBrady. "Public-Private Partnerships in Infrastructure," White House Council on Environmental Quality's GreenGov Symposium (November 2, 2011). Moderator: Stephen J. McBrady. "Global Strategies Expansion: An Introduction to International Government Contracting," C&M Client Presentation (September 22, 2011). Speaker: Stephen J. McBrady. "Accounting and Pricing Fundamentals," Ounce of Prevention Seminar (OOPS) XXVII (May 25-26, 2011). Speaker: Stephen J. McBrady. "Greener Pastures: Managing Risks While Navigating Federal and State Green Building Opportunities," Crowell & Moring Webinar (June 2, 2010). Co-Presenters: Christopher Cheatham and Stephen J. McBrady. "Legal Considerations When Building Green," Construction Industry Round Table (April 2010). Co-Presenters: George Ruttinger, Stephen McBrady, Chris Cheatham. "Legal Considerations When Building Green," The National Academies, Federal Facilities Council Standing Committee on Sustainable Acquisition, Design, and Construction (March 2010). Co-Presenters: Stephen McBrady, J. Catherine Kunz, Chris Cheatham. "Public Private Partnerships: What Are They and Why Do They Matter To Your Client’s Business Now?" ABA Section on International Law, International Procurement Committee (February 25, 2010). Moderator: Stephen McBrady. "Green Building in the 21st Century: the American Recovery and Reinvestment Act and Beyond," Construction Users Roundtable's National Conference (November 17, 2009). Co-Presenters: Stephen J. McBrady and Christopher Cheatham. "Public-Private Partnerships," Crowell & Moring's 25th Annual Ounce of Prevention Seminar (May 2009). Presenter: Stephen J. McBrady. "Opportunities in the ARRA," An Introduction to the American Recovery and Reinvestment Act of 2009: Implications for Construction Contractors, Crowell & Moring Webinar (May 26, 2009). Presenter: Stephen J. McBrady. "No Cost Compliance Check-Up for Government Contractors," Crowell & Moring's Government Contracts Legal Forum (March 5, 2018). Authors: David B. Robbins, Adelicia R. Cliffe, Peter J. Eyre and Stephen J. McBrady. "Government Contracts – Contractors: Getting Their Due," Crowell & Moring's Litigation Forecast 2018 (January 2018). Contributor: Stephen McBrady. "Government Claims on Incurred Cost Submissions," Crowell & Moring's Government Contracts Legal Forum (July 7, 2017). Authors: Stephen J. McBrady and Daniel Wierzba. "Contract and Grant Freezes at EPA: What Contractors and Awardees Can Do to Prepare, and to Protect Themselves ," Crowell & Moring's Government Contracts Legal Forum (January 26, 2017). Authors: David B. Robbins, J. Chris Haile and Stephen J. McBrady. ASBCA Dismisses Army’s $100 Million Cost Disallowance for Failure to State a Plausible Claim (January 10, 2017). Author: Steve McBrady, Terry L. Albertson, Skye Mathieson, and Elizabeth Buehler. "Hold That Thought: OFPP Memo Stops FPSW Implementation," Crowell & Moring's Government Contracts Legal Forum (October 26, 2016). Co-Authors: Steve McBrady, Kris D. Meade, David B. Robbins, Jason M. Crawford and Laura J. Mitchell Baker. "Stop the Press: District Court Enjoins Implementation of 'Fair Pay and Safe Workplaces,'" Crowell & Moring's Government Contracts Legal Forum (October 25, 2016). Co-Authors: Steve McBrady, Kris D. Meade, David B. Robbins, Jason M. Crawford and Laura J. Mitchell Baker. "Feature Comment: Preparing for Day-One Compliance with Fair Pay and Safe Workplaces," The Government Contractor (September 21, 2016). Authors: Stephen J. McBrady, David B. Robbins, Jason M. Crawford, and Laura J. Mitchell Baker. Primer on the “Fair Pay and Safe Workplaces” Final Rule and Department of Labor Guidance,"Crowell & Moring's Government Contracts Legal Forum (September 9, 2016). Co-Authors: Steve McBrady, Kris D. Meade, David B. Robbins, Jason M. Crawford, and Laura J. Mitchell Baker. "Fair Pay and Safe Workplaces Final Rule and Guidance Released," Crowell & Moring's Government Contracts Legal Forum (August 25, 2016). Authors: Stephen J. McBrady, Kris D. Meade, David B. Robbins, Jason M. Crawford, and Laura J. Mitchell Baker. "Preparing for Fair Pay & Safe Workplaces — Previewing Violation and Remediation Information with the Government," Pratt's Government Contracting Law Report, Vol. 2, No. 7 (July 2016). Authors: David B. Robbins, Stephen J. McBrady, and Peter J. Eyre. "GSA to Require SCA Wage Determinations at the Task Order Level," Crowell & Moring's Government Contracts Legal Forum (May 19, 2016). Authors: Lorraine M. Campos, Steve McBrady, Leslie A. Monahan, and Trina Fairley Barlow. "ASBCA Addresses Claim Accrual on Prompt Payment Act Interest Penalties," Crowell & Moring's Government Contracts Legal Forum (May 18, 2016). Author: Steve McBrady. "Rescinded Claims Rendered Appeals Moot, Absent Evidence That Government Intends to Reassert," Crowell & Moring's Government Contracts Legal Forum (May 17, 2016). Authors: Stephen J. McBrady and Laura J. Mitchell Baker. "Administration Walks Back 'Economic Significance' Designation of New Rules," Crowell & Moring's Government Contracts Legal Forum (May 12, 2016). Authors: Steve McBrady, Angela B. Styles, Kris D. Meade, and Jason M. Crawford. "Wait, What? Administration Now Designates 'Fair Pay and Safe Workplaces' as Not Economically Significant," Crowell & Moring's Government Contracts Legal Forum (May 10, 2016). Authors: Steve McBrady, Angela B. Styles, Kris D. Meade, and Jason M. Crawford. "'Fair Pay and Safe Workplaces' Rules Head to White House for Final Review," Crowell & Moring's Government Contracts Legal Forum (May 6, 2016). Authors: Steve McBrady, Jason M. Crawford, Angela B. Styles, Kris D. Meade, and Robert Burton. "No Money, No Problem: Court Finds Certification Merely Defective on Pass-Through Claim, and Dings Severin Argument," Crowell & Moring's Government Contracts Legal Forum (May 4, 2016). Authors: Steve McBrady, Skye Mathieson, and Nkechi Kanu. "Acting Army Secretary Directs the End of 'Use or Lose' Spending," Crowell & Moring's Government Contracts Legal Forum (April 22, 2016). Authors: Steve McBrady and Mark A. Ries. "Not So Fast: Congress Gives DoL the Heisman on 'Fair Pay' Funding," Crowell & Moring's Government Contracts Legal Forum (December 21, 2015). Authors: Stephen J. McBrady, Angela B. Styles, Kris D. Meade and, Jason M. Crawford. "Claims Recovery Under Government Contracts," Crowell & Moring's Government Contracts Legal Forum (November 17, 2015). Authors: Stephen J. McBrady, J. Chris Haile, Brian Tully McLaughlin, and Skye Mathieson. "ASBCA's FY 2015 Report – A Look at the Numbers," Crowell & Moring's Government Contracts Legal Forum (November 2, 2015). Author: Stephen J. McBrady. "IG Report Whacks DCMA's Oversight of Contractors' Business Systems," Crowell & Moring's Government Contracts Legal Forum (October 7, 2015). Authors: Stephen J. McBrady, Terry L. Albertson, and Skye Mathieson. "Nothing to Sneeze at: Obama Administration Issues 13th EO Targeting Federal Contractors," Crowell & Moring's Government Contracts Legal Forum (September 8, 2015). Authors: Angela B. Styles, Kris D. Meade, Stephen J. McBrady, and Jason M. Crawford. "Obama Administration Not Done With Executive Orders Aimed at Federal Contractors," "DoD White Paper Takes Aim at IR&D Costs," Crowell & Moring's Government Contracts Legal Forum (August 28, 2015). Author: Stephen J. McBrady. "DoD White Paper Takes Aim at IR&D Costs," Crowell & Moring's Government Contracts Legal Forum (August 27, 2015). Authors:Terry L. Albertson and Stephen J. McBrady. "Under Siege: Trade Associations Rap White House for Flood of EOs Targeting Contractors," Crowell & Moring's Government Contracts Legal Forum (August 12, 2015). Authors: Stephen J. McBrady, Mark A. Ries and Angela B. Styles. "Claims Practice Bulletin: Board Sides With Contractor on CDA Jurisdictional Issue," Crowell & Moring's Government Contracts Legal Forum (July 29, 2015). Authors: Stephen J. McBrady and Skye Mathieson. "Congressional Committee Chairs Request that OFPP and DoL Withdraw 'Fair Pay' Proposed Rule and Guidance," Crowell & Moring's Government Contracts Legal Forum (July 28, 2015). Stephen J. McBrady, Kris D. Meade, Peter Eyre, and Jason M. Crawford. "Significant Reporting and Compliance Requirements on the Horizon with Implementation of "Fair Pay Safe Workplaces,'" The Coalition for Government Procurement Friday Flash (July 19, 2015). Authors: Angela B. Styles, Stephen J. McBrady, and Jason M. Crawford. "Obama Administration Issues Proposed Rule and Guidance for Implementing 'Fair Pay and Safe Workplaces,'" Crowell & Moring's Government Contracts Legal Forum (May 27, 2015). Authors: Angela B. Styles, Kris D. Meade, Stephen J. McBrady, Rebecca L. Springer, and Jason M. Crawford. "Obama Administration Mandates New Federal Agency Sustainability Objectives," Crowell & Moring's Government Contracts Legal Forum (March 27, 2015). Authors: Cameron Prell, Steve McBrady, Peter Eyre, and Matthew B. Welling. "C&M Joins Forces with the Litigation and Government Contracts Forums at ACC National Capital Region for April Forum on Sponsored Claims," Crowell & Moring's Government Contracts Legal Forum (March 26, 2015). Authors: Steve McBrady, Skye Mathieson, and Jason M. Crawford. "Federal Circuit Permits Contractor to Add New Claim to Pending Complaint," Crowell & Moring's Government Contracts Legal Forum (February 25, 2015). Co-Authors: Stephen J. McBrady and Mary Kate Healy. "Claims Practice Bulletin: What the Newly Interpreted 'Non-Jurisdictional' CDA Statute of Limitations Means for Contractors," Crowell & Moring's Government Contracts Legal Forum (January 20, 2015). Co-Authors: Stephen J. McBrady and Skye Mathieson. "Government Contracts Cases To Watch In 2015," Crowell & Moring's Government Contracts Legal Forum (January 13, 2015). Author: Stephen J. McBrady. "Claims Practice Bulletin: Performance Fraud, Imputed Liability, and Antecedent Breach," Crowell & Moring's Government Contracts Legal Forum (January 12, 2015). Co-Authors: Stephen J. McBrady and Skye Mathieson. "Army Office of Energy Initiatives Releases RFP for New Renewable Energy Project at Fort Hood," Crowell & Moring's Government Contracts Legal Forum (October 23, 2014). Co-Authors: David J. Ginsberg, Stephen J. McBrady, Cameron Prell, and Matthew B. Welling. "Not Our Problem: ASBCA Has No Say in Prime-Sub Sponsorship Dispute," Crowell & Moring's Government Contracts Legal Forum (September 8, 2014). Author: Stephen J. McBrady. "Primer on the New 'Fair Pay and Safe Workplaces' Executive Order," Crowell & Moring's Government Contracts Legal Forum (September 4, 2014). Author: Stephen J. McBrady. "Recent ASBCA Decisions Offer Refresher on Adherence to Board and CDA Requirements," Crowell & Moring's Government Contracts Legal Forum (January 28, 2014). Author: Stephen J. McBrady. "Applicable Statute of Limitations for CAS Violations Comes into Focus," Crowell & Moring's Government Contracts Legal Forum (January 27, 2014). Author: Stephen J. McBrady. "Commercial Space Flight: Recent Turbulence and Promising Future?" Crowell & Moring's Government Contracts Legal Forum (June 5, 2013). Co-Authors: Raymond F. Monroe, Gerald F. Murphy, Jonathan Linde, Paul Alp, Stephen J. McBrady, and Jonathan M. Baker. "International Gov't Contracts: New Markets, Same Risks," Law360 (November 22, 2011). Author: Stephen McBrady. "Green Building in the 21st Century," The Voice, the official magazine of The Construction Users Roundtable (Spring 2010). Co-Authors: Christopher Cheatham and Stephen J. McBrady. "Doing Business with the Government in 2009: New Opportunities for Energy Efficiency and Renewable Energy Contracting," Bloomberg's Sustainable Energy Law Report, (May 2009). Contributed by: J. Catherine Kunz and Stephen J. McBrady. "Funding America's Infrastructure Needs: Public Private Partnerships May Help Close Infrastructure Gap," Briefing Papers, Thomson West (March 2009). Author: Stephen J. McBrady. "A Convenient Truth: New Environmentally Friendly Building Codes May Have D.C. Contractors Seeing Green," Construction (February 25, 2008). Author: Stephen J. McBrady. "Construction Law Glossary," American Bar Association Forum on the Construction Industry (2008). Contributor: Stephen J. McBrady. "Applying the U.S. Supreme Court's Decision in Adarand to California Construction Cases," Building Solutions (Winter 2006-2007). Author: Stephen J. McBrady. Dec.11.2018 Crowell & Moring Partner Steve McBrady Named Law360 2018 Government Contracts "MVP of the Year"